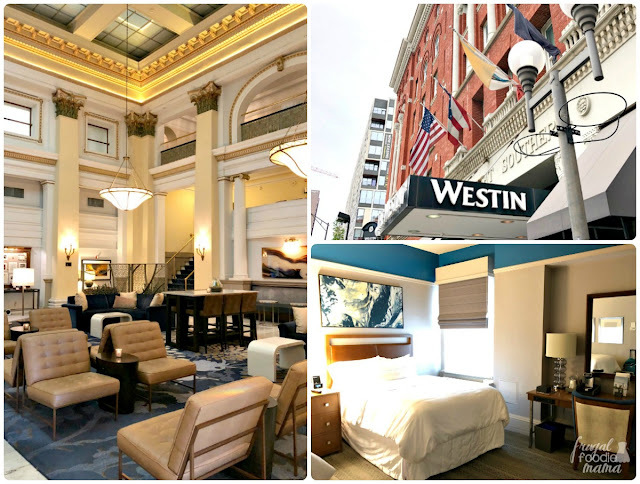 This post was created in partnership with Experience Columbus. As always, all opinions & thoughts expressed below are 100% my own. 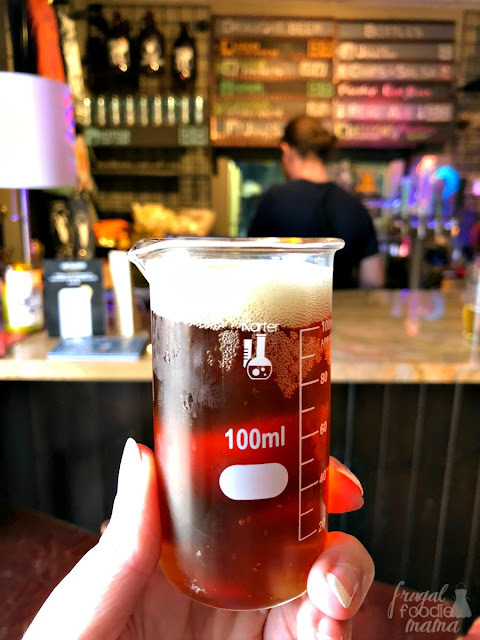 When I moved back to my home state of West Virginia after living in the Columbus, Ohio area for 8 years, Columbus was just then starting to experience a growing craft beer movement. While local breweries were very few in number (think maybe Barley's, Columbus Brewing Company, & Elevator Brewing downtown), craft beer tap takeovers in local bars had started to become more & more popular. In fact, these tap takeovers is how I first experienced and fell in love with craft beers. Fast forward 8 years later, and the craft beer scene in Columbus has totally evolved into a full-fledged local brewery movement. In fact, there are now over 40 breweries & counting in the Columbus area alone! I knew I had to get back to C-bus to explore the local brewery scene. I spent two days in the city- even embarking on a guided brewery tour- and I didn't even get to a fourth of the breweries in the city! 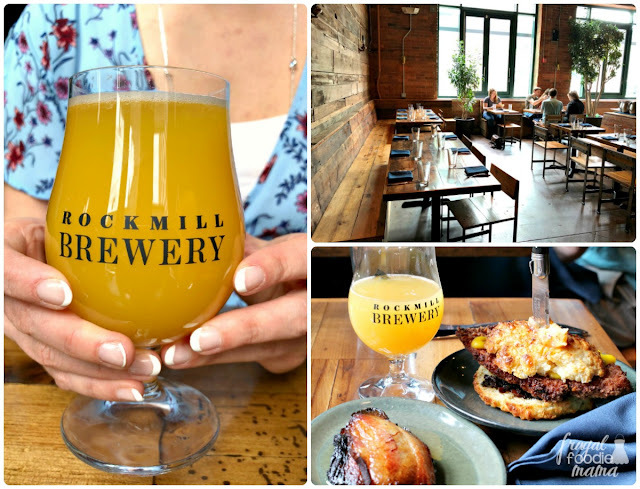 My first brunch & brew combo experience was at Rockmill Tavern in Columbus's Brewery District. The tavern itself is actually an extension of their brewery which is located on a farm in Lancaster, Ohio. The brewery uses water from the farm's 90 foot deep limestone well to brew their Belgian inspired farmhouse ales. The tavern carries a rotating tap of at least a dozen of the beers brewed at the farm at any one time. So what should you order when you are brunching it at Rockmill? Start with the Bier-Mosa, a tasty mix of their Witbier & orange juice. Then order their cornmeal crusted cheese curds served with a side of warm maple syrup (pictured above). 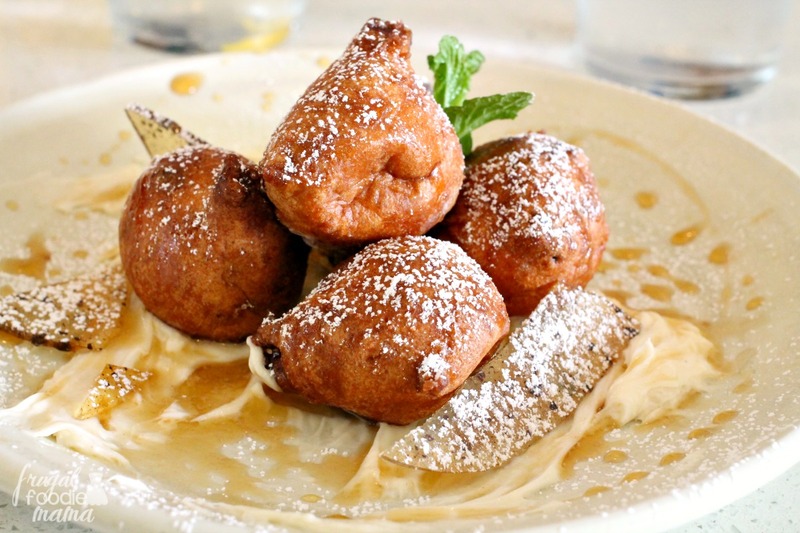 For the main event, go with the Fried Chicken Biscuit if you are craving something savory or the French Toast with a brioche custard if you are wanting something a little more on the sweet side. And a side of their crispy Witbier bacon is essential, you all. 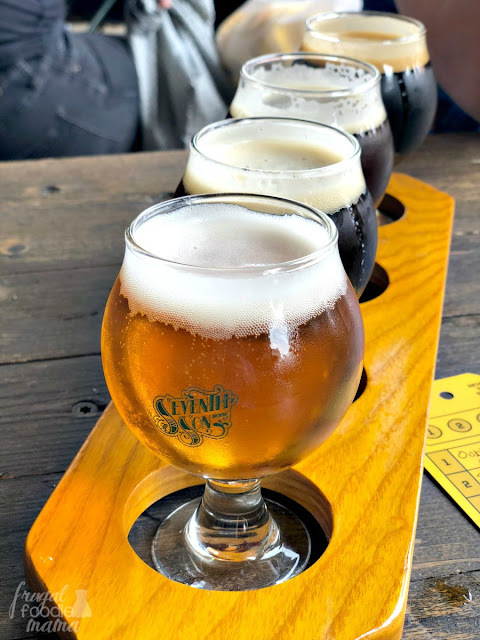 And you should most definitely do a flight of their beers to get a trust taste of what all Rockmill Brewery has to offer! My personal favorite happened to be the Cask Aged Tripel which is aged in whiskey barrels from Middle West Spirits, a local micro-distillery. For brunch stop #2 during our weekend stay, we headed to Hoof Hearted Brewery & Kitchen in the Italian Village area of Columbus. Coming from a gal who hasn't ventured to the Italian Village since her days of going to cask tappings at St. James Tavern in 2010, I hardly even recognized the area! As one of my longtime beer drinking buddies & current Columbus resident friends stated when we met for a few brews later that day, these new local breweries have decided to open up shop in some of the less than savory areas of Columbus and have helped to "gentrify" them. 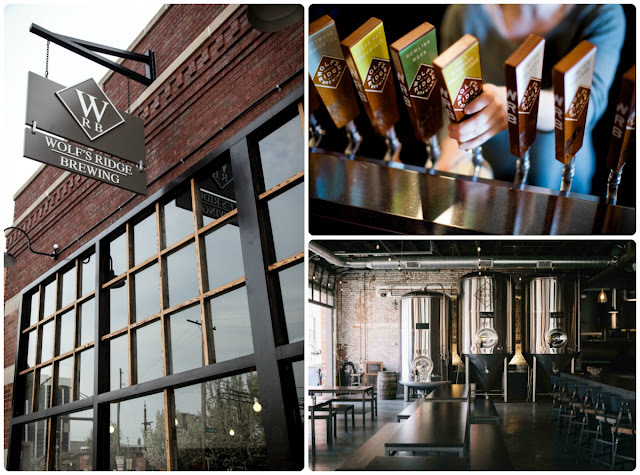 The breweries move in, the business comes, and the area starts to reinvent itself. 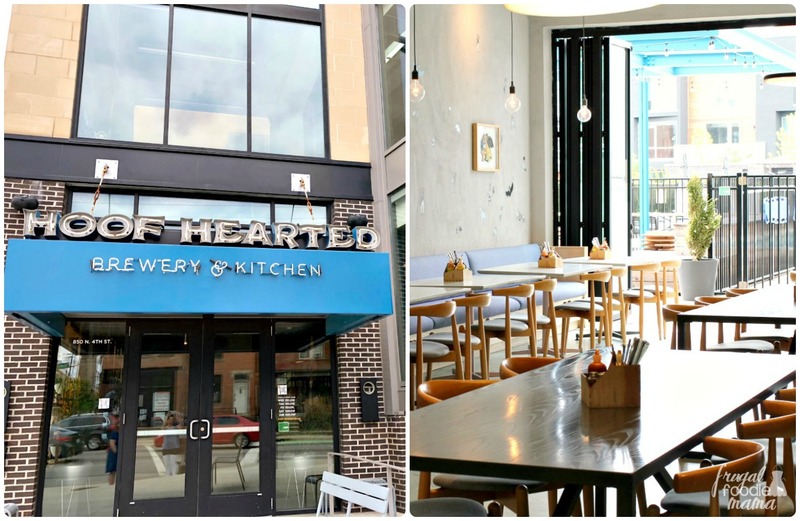 And Hoof Hearted Brewery has been a part of the reinvention of the Italian Village area. Offering 12 taps, a full brunch menu, and pool access (yes, a pool! 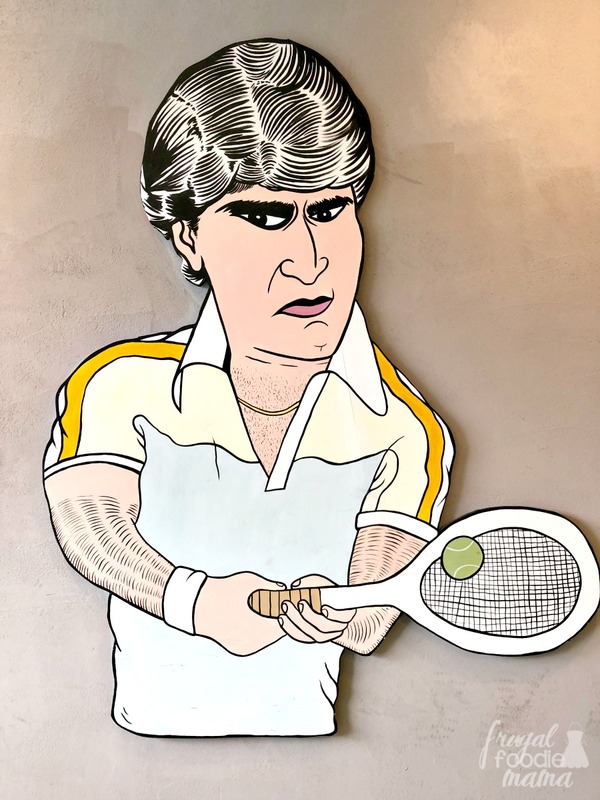 ), this brewery & kitchen offers a modern vibe with a touch of the eccentric with their 80's inspired artwork adorning most of the walls in the restaurant. 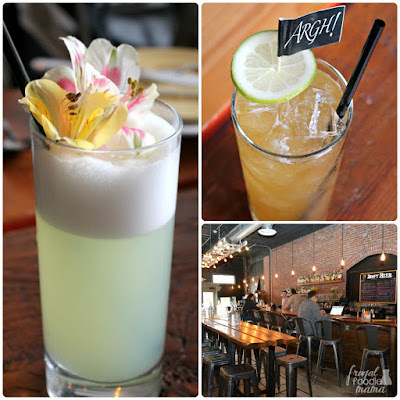 So what should you order when you are brunching it at Hoof Hearted? First be sure to order yourself a Bloody Mary- they use their own Bloody Mary mix & a pepper infused vodka. Another great option would be a pint of their How Can We Make This Look Casual? brew, their stout flavored with vanilla beans & cacao nibs. 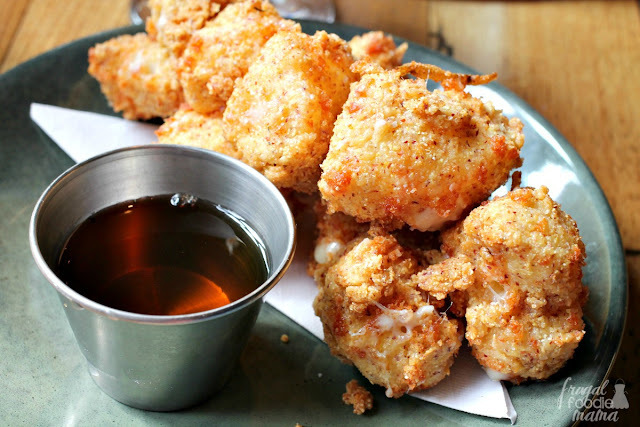 Next, get an order of the Brunch Ballz- they are donut holes on crack, you all. 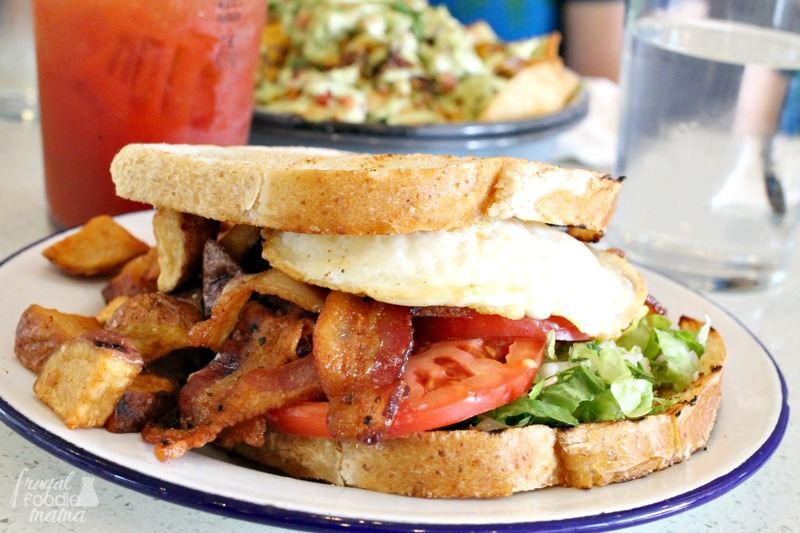 We also went with the BELT (bacon, egg, lettuce, tomato- pictured above) and the Nacho Breakfast. You heard that right- nachos for breakfast! Sample All the Local Beers with a Built-In DD. 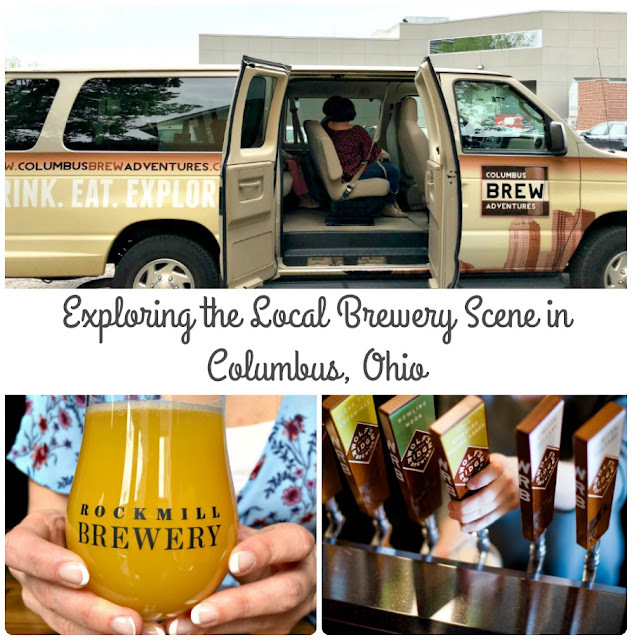 One of the best ways to really get a feel for the growing local brewery scene in Columbus is to book a guided tour with Columbus Brew Adventures. Why book a tour versus going it on your own? Your guides know their stuff. They know the history of the city as well as the behind the scenes tidbits of each brewery. 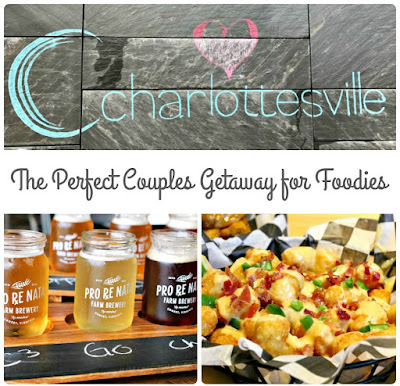 They are passionate about local beer & the local food scene. No planning! Let the tour service do all of the hard work. Choose one of their already established brew tours or work with CBA to create your own private, personalized tour. Everything is included in your ticket price- the transportation, light snacks/appetizers, the brewery tours, and the tastings. 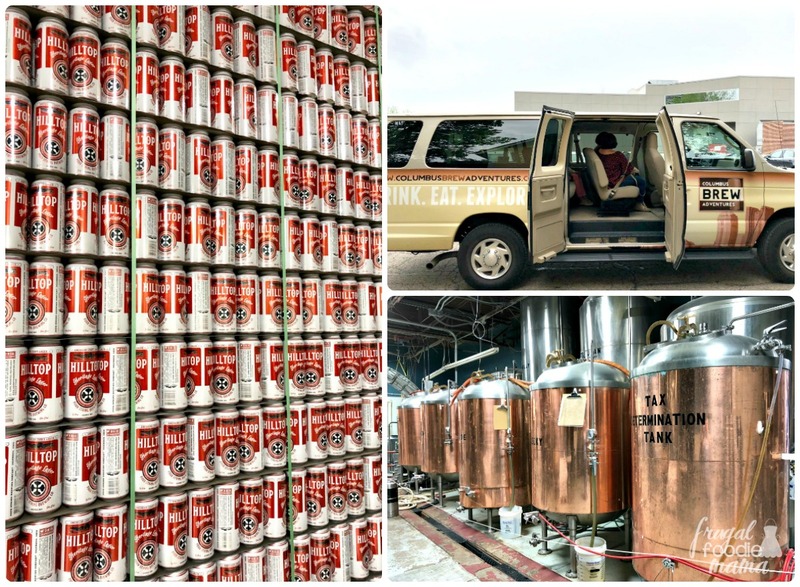 We embarked on the 3 1/2 hour Grandview & Brewery Triangle tour making stops to tour & sample beers at Smokehouse Brewing, Actual Brewing Company (pictured above), & the Four String Brewing Taproom (pictured below). Casual Spots to Grab a Brew or Two. 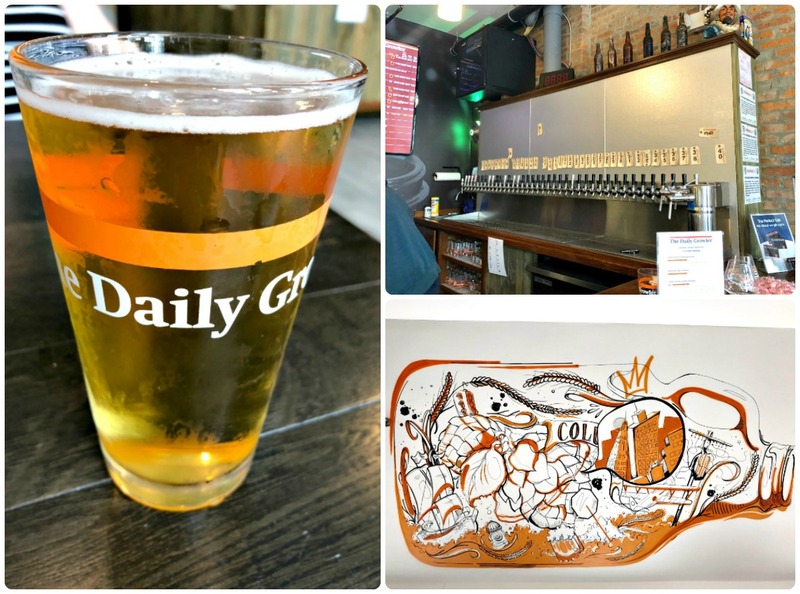 When you are looking for a more chill, laid back spot to enjoy a few locally brewed beers, then a stop at The Daily Growler near German Village should be a part of your agenda while in Columbus. 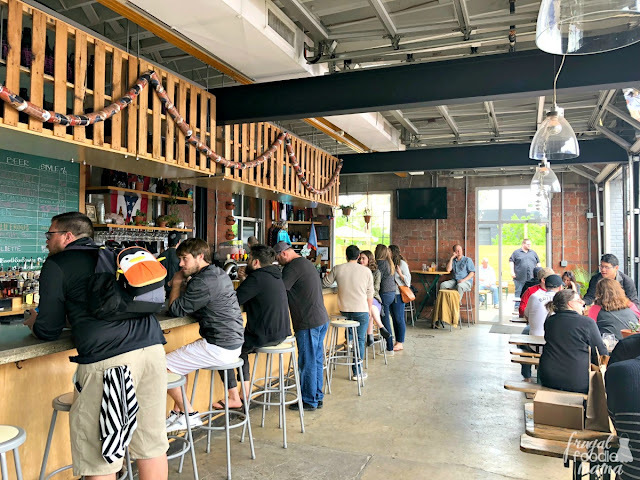 While not an actual brewery, The Daily Growler does boast 60 taps with a majority of those taps dedicated to locally produced or Ohio made beers. In fact, I got a little preview of Wolf's Ridge Brewery when the bartender at the Growler suggested I give their Clear Sky Daybreak Coffee Vanilla Cream Ale (pictured above, left) a try when I told him that I am a stout & porter lover, but I was looking for more of a lighter summer beer. Boom! He knew right away to suggest. The Daily Growler has indoor & outdoor patio seating, plus an entire space upstairs complete with pinball machines. You can also order food from the Big Mamma's Burritos kitchen right next to the bar. If you are looking for a brewery & bar with a great outdoor space, then Seventh Son Brewing in the Italian Village is the place for you. They have four flagship beers on tap as well as a nice selection of monthly & seasonal beers. Not only can you get great locally brewed beer there, but they also have a rotating selection of food trucks at the brewery seven days a week. 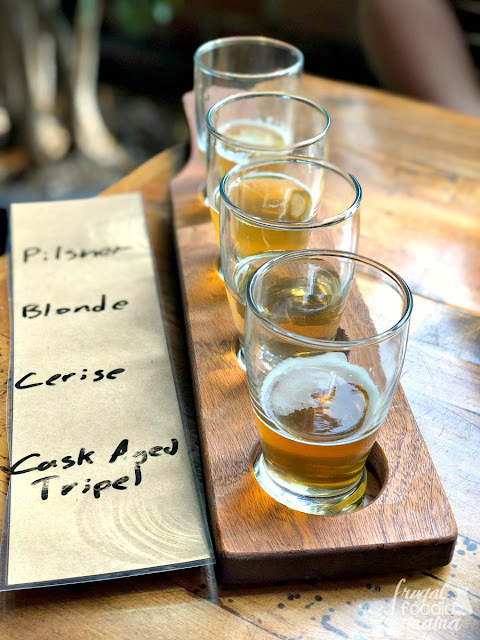 Grab a ticket at the bar & pencil in your own flight of beers from Seventh Son's tap selection. My personal favorite was the Chester Copperpot (I definitely appreciated the Goonies reference! )- an Altbier style ale with a nice smokiness & herbal notes. When You Want a Classy Dinner with Your Beer. 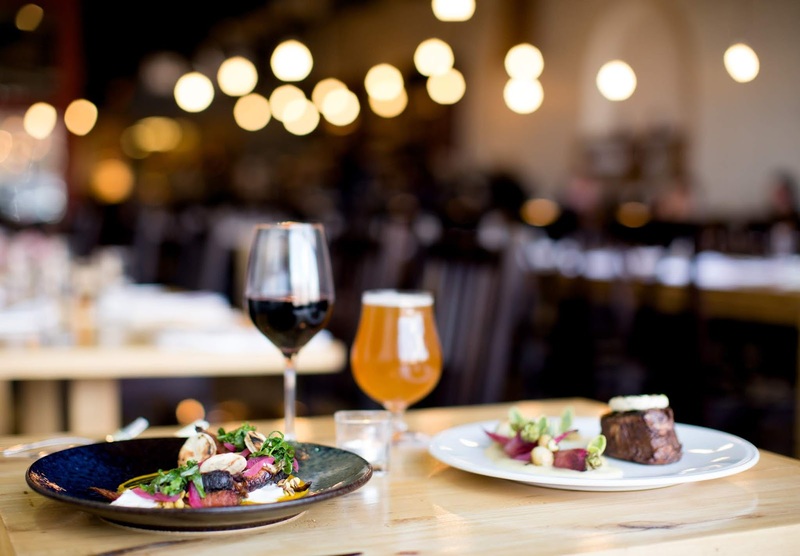 Comprised of a brewery, tap room, & a dining room, Wolf's Ridge Brewing is a must-do if you are looking for a fancy dinner out, but still want a good beer with your meal. Led by Chef Seth Lassak, the menu in the Wolf's Ridge dining room changes seasonally & dishes are created with beer pairings in mind. The brewery's head brewer, Chris Davison, started with out with a humble beginning in homebrewing. 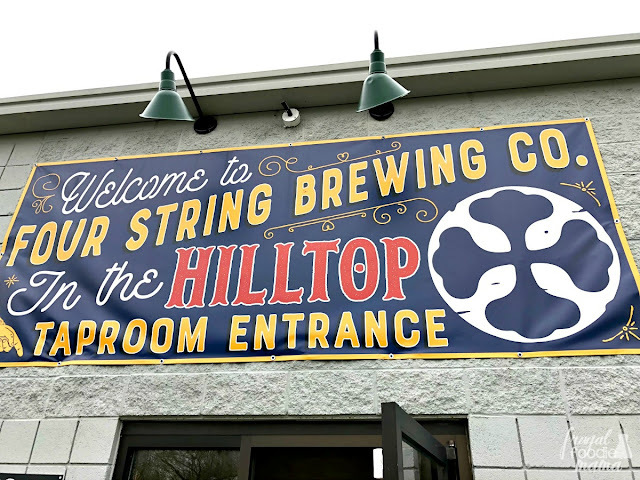 At just 32 years old, he is now an award winning brewer who is in charge of brewing beers for an entire dining room as well as special brews for the taproom & a full-fledged line of bottled beers under the Wolf's Ridge label. Wolf's Ridge has a full lunch and dinner menu, as well as an impressive weekend brunch menu (yep, another brewery that brunches!). And have I mentioned their kids menu? Wowzers! If you decide to dine there on the weekend, I would definitely recommend making a reservation in advance as it gets quite busy in the dining room. Have you been to Columbus, Ohio recently? What is your favorite brewery in Ohio's capital city? 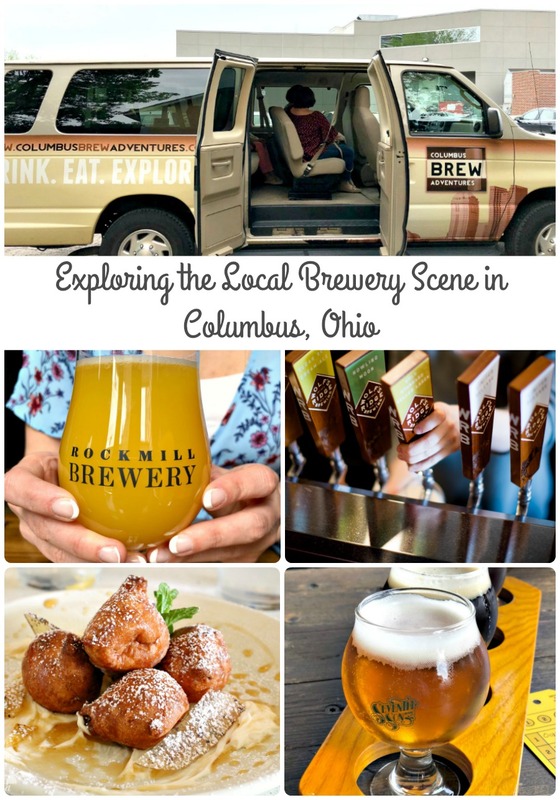 For more information & to start planning your local brewery adventure in Columbus, Ohio soon, be sure to visit the Experience Columbus website! 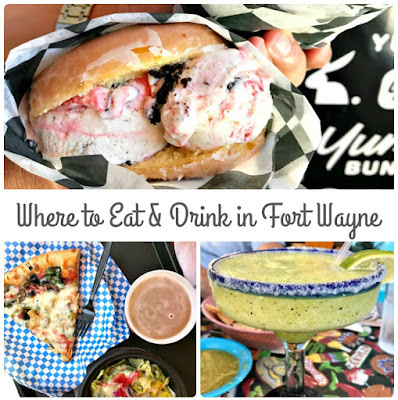 Want to follow along with all my foodie travel adventures?